Livia Cives did this illustration for Briefings, the magazine of executive recruitment firm Korn Ferry. 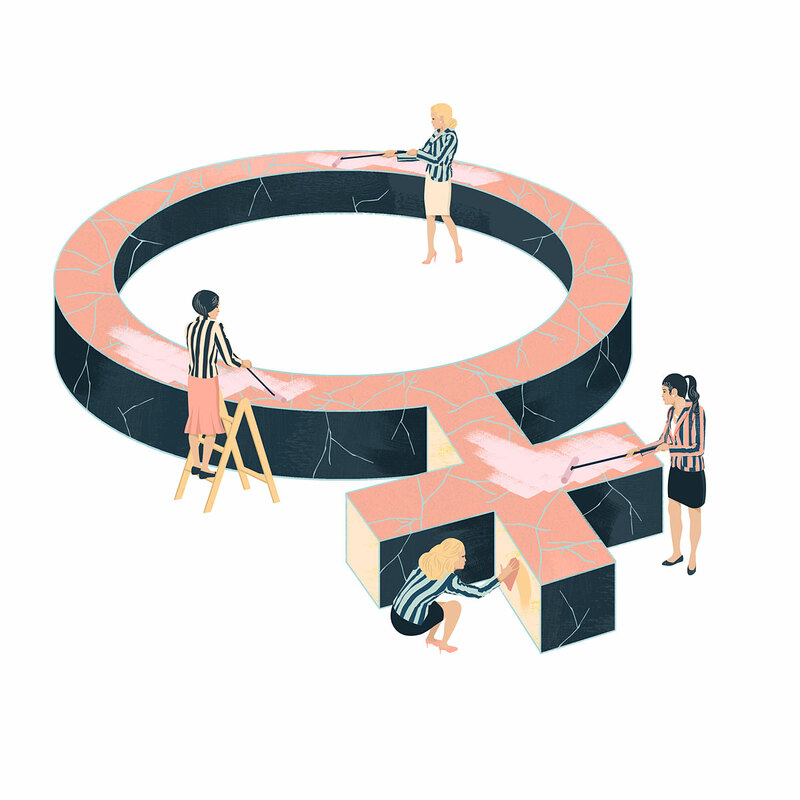 This illustration paired with a feature on Women in Leadership. The image pictures working women remodeling the typical symbol associated with the female gender. The symbol is shown to be either cracked or scratched and the women are re-painting and polishing it themselves. This image is an empowering commentary on women in business– they are essential to the function of many successful companies; therefore, are inserting and/or re-asserting themselves back into the workplace. According to the image the change women want and deserve is being done by the women themselves. It is a powerful notion that Cives has beautifully interpreted into this illustration.